I bought this bottle, one of a triumphal lineup from MacArthur Beverages, to celebrate a new professional opportunity. I wanted to drink it in DC, but circumstances conspired to have me bring it on my travels instead. Pure and lean, restrained entry followed by a fragile, beautiful blooming of black fruit, held by the suggestion of cedar and graphite. Some notes, young and pure, of eucalyptus and green bell pepper. 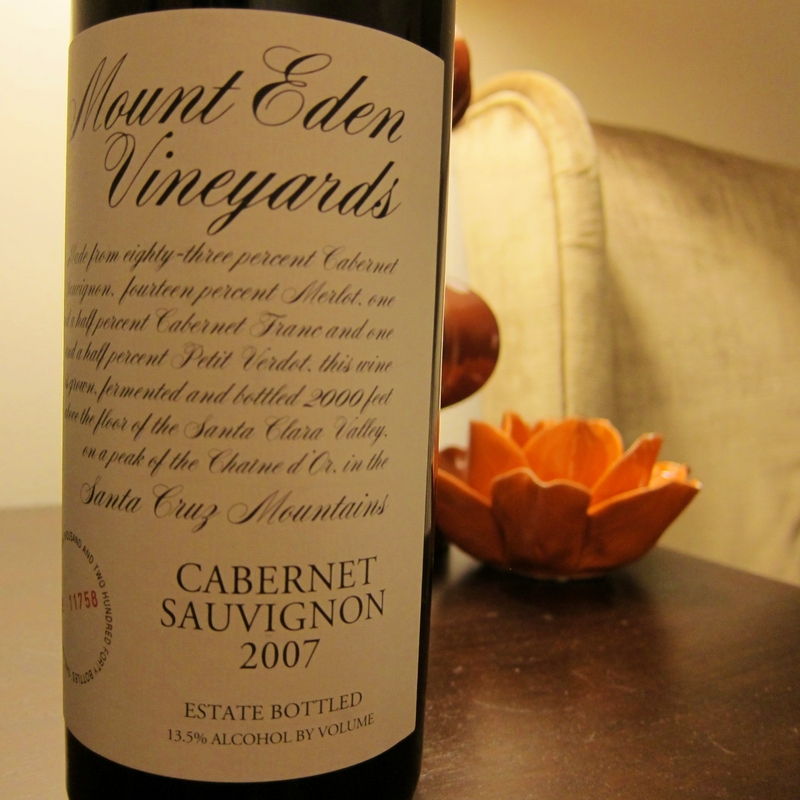 In short, a classic California Cabernet that was beautiful in its quiet. I preferred this wine over the Robert Craig I had had previously, though the Craig had more power and was seductive in its soft texture and richness. Buy this bottle, and share it. Remind yourself of what you have in this life, and what makes it worth living. You did a rare thing and made me desire a Cali Cab. Restrained? Fragile? Yes, please. That sounds like a diamond in the rough!